Dungeon of Elements is part of a "Pay What You Want" charity promotion on IndieGameStand.com that lasts Saturday through Tuesday, Jan 11-14. 10% of all proceeds from this sale will be donated to charity (we picked the Electronic Frontier Foundation). DRM free for PC, Mac, or Linux. Also receive a Desura key. Also receive a Steam key when DoE is Greenlit. Pay what you want. $1 and up. 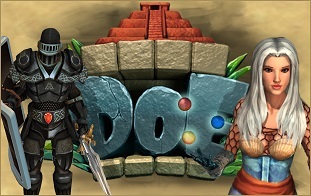 Beat the average price and get the DoE Digital Soundtrack and Digital Artbook as well. 10% of all proceeds from this sale will be donated to Electronic Frontier Foundation. Grab the game, help us spread the word, or both.